As Ella and Louis will tell you, Autumn in New York is a romantic time for enjoying a warm cup of tea indoors or the golden hues and colors of the outdoors. With some careful planning and design, it’s possible to bring those two beautiful worlds together with a green roof. 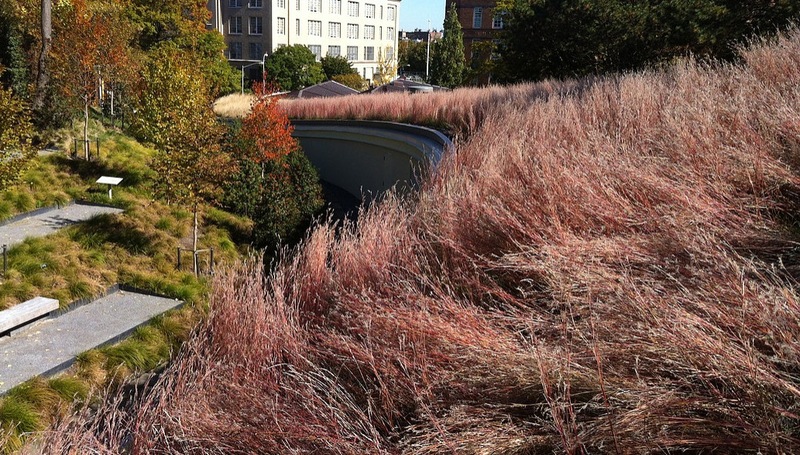 Green roofs (well, more like golden roofs in this blog post) can bring the fall colors normally seen in parks up onto green rooftop gardens. And, with a little bit of proper preparation and maintenance, green roof plants will survive through the winter and flourish again the following spring. 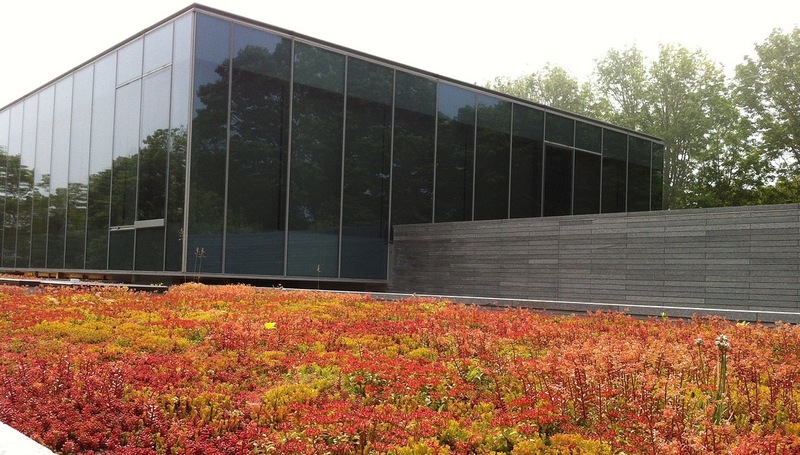 For the most part, green roofs should be able to withstand their local climate without much winterizing fuss. This is why sedums are such a staple in green roofs. They are tough, sturdy and don’t require much in the way of water, light, nutrients, or maintenance. A truly sustainable green roof shouldn’t require a lot of extra energy, water, time, money, or other resources to live. Raise ’em right and then kick ’em out to get a job and pay their own rent. 🙂 Let nature take its course! 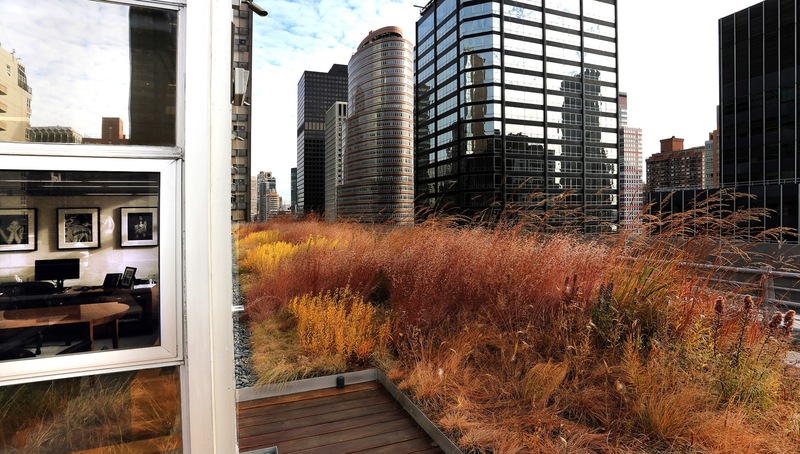 In New York, we can install a green roof as late as mid-November, and it will come up green in the spring! And then the following year, come October, you’ll have your own golden-orange outdoor carpet like the images above. If you’d like to learn more about how to ensure green roofs are healthy throughout the colder season, please feel free to reach out.